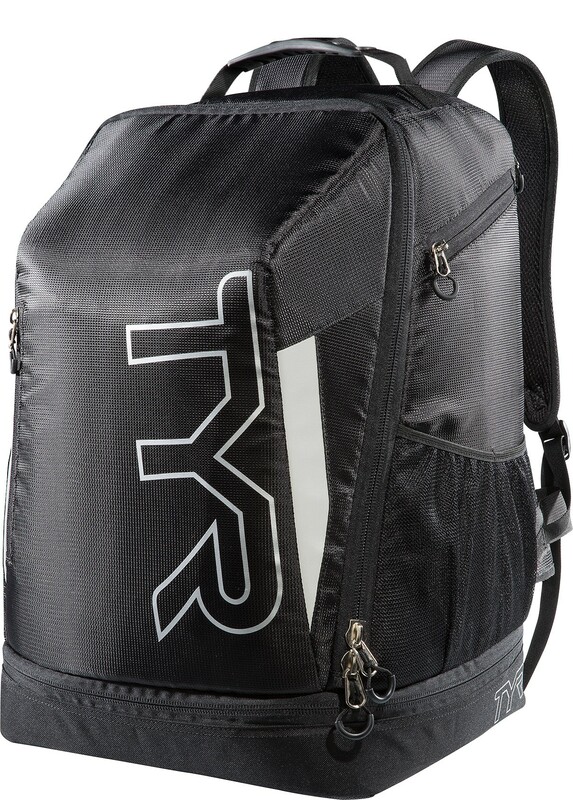 This bag allows me to pack away everything I need comfortably. There are plenty of storage pockets, so I donâ€™t have to take things out to find what I need. Very pleased so far. My nephew is a competitive swimmer and LOVES this pack! 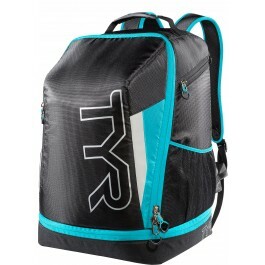 This bag is a great size and fits everything you need for a triathlon. My only criticism is it could use a few more smaller pockets for things like keys, phone, etc. A: No, the Apex Backpack should be wiped clean with a wet cloth and not machine washed. 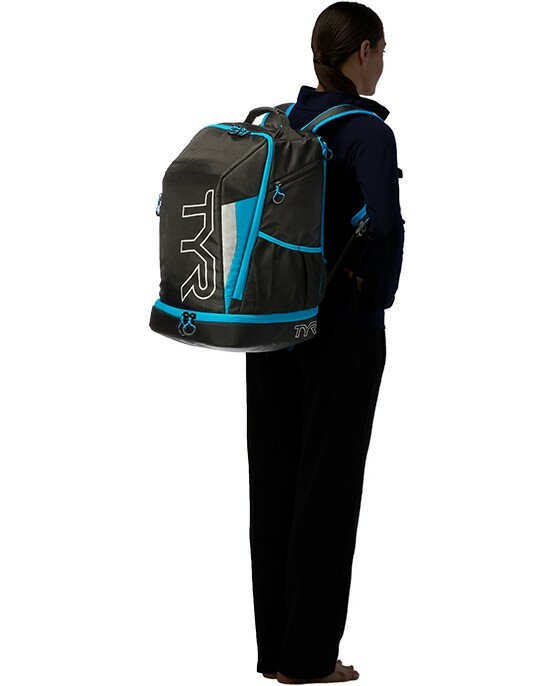 Q: Is there a ventilated place that can hold my running shoes and clothes? 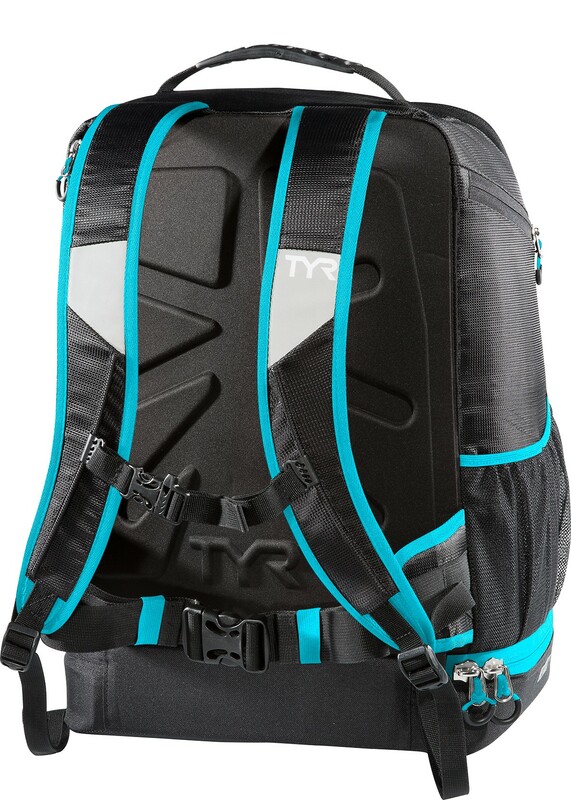 A: The Apex Backpack comes complete with plenty of storage. 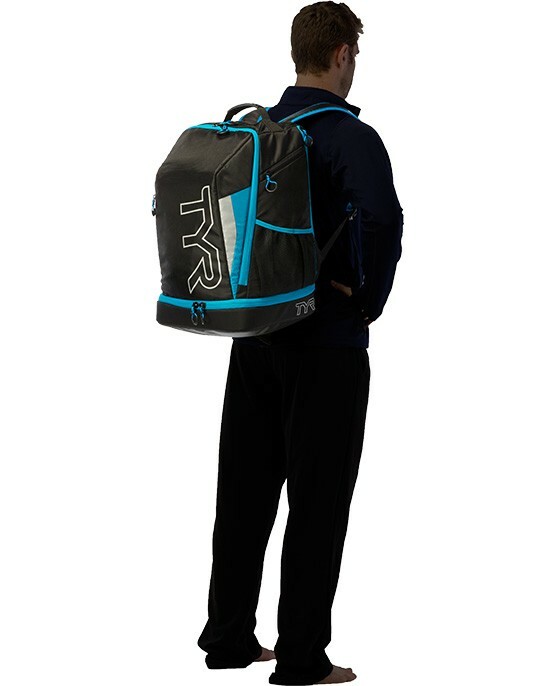 It also contains exterior mesh pockets to hold running shoes and or clothes. Q: Is the helment compartment big enough to fit an aero helmet? 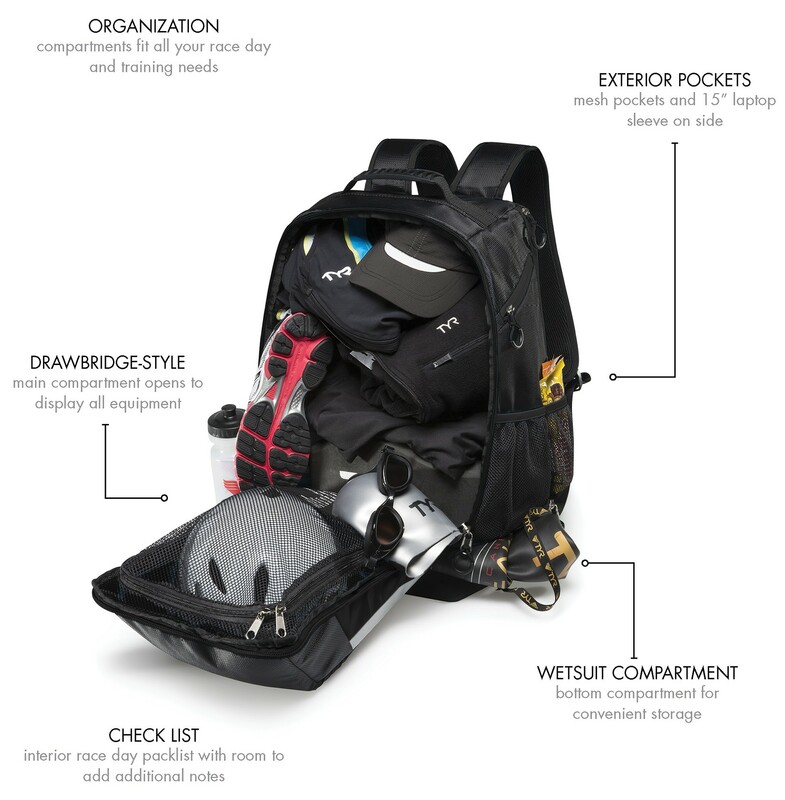 There is no compartment for helmets but the bag is big enough to fit your helmet along with everything else you may need. Q: What brand and size of the zippers? 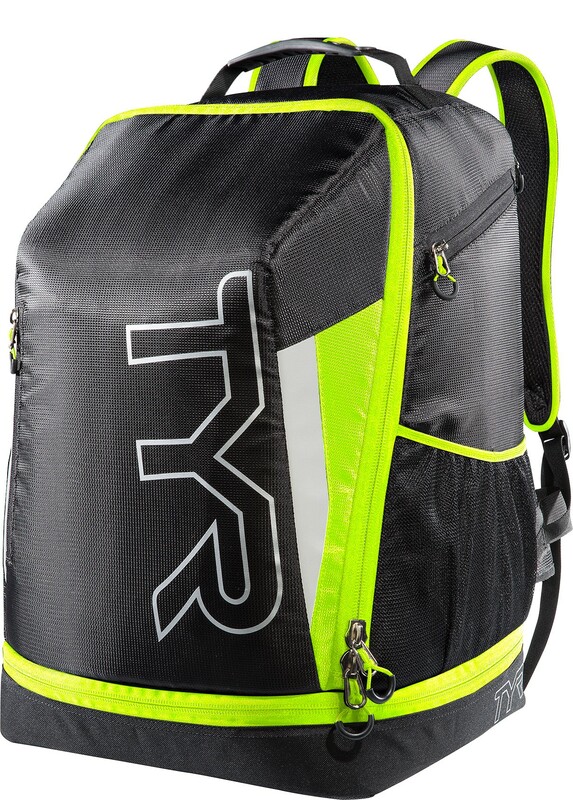 Our Apex transition bag has a 42" for the front main zipper, and 40" for the bottom, No brand name included. 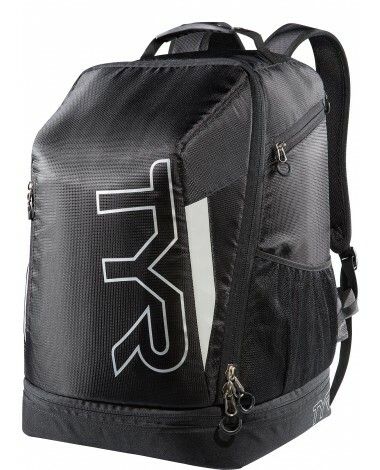 Built for gear, the Apex Backpack keeps all of your essentials organized for quick and easy access on race day. 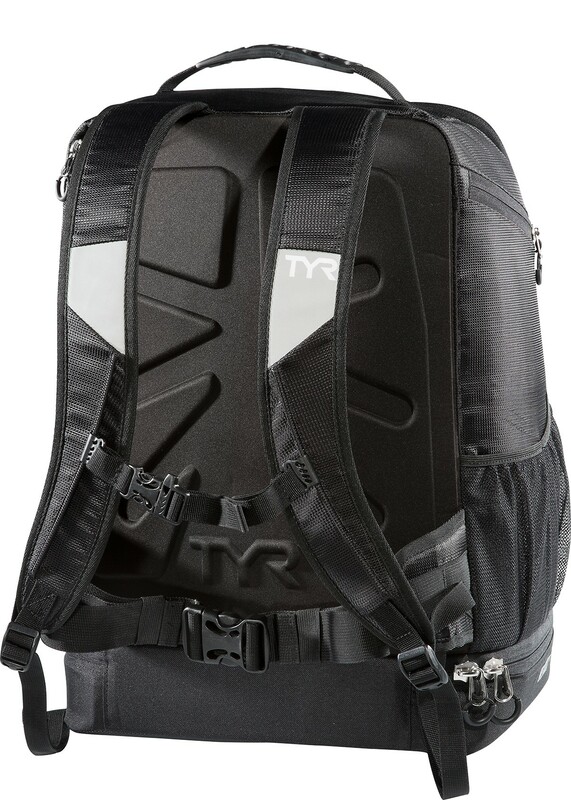 It features numerous organization compartments, including a bottom wetsuit compartment, exterior mesh pockets and 15” laptop sleeve for travel.